Return to Oz with this cute Dorothy Pop! Fantastic for any Wizard of Oz fan. Ages 5 and up. Judy Garland, shrunken down to size and cuter than ever! 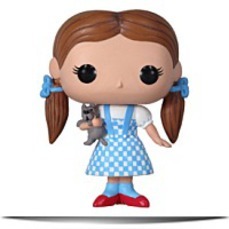 Movie Vinyl Figure attributes the adorable girl from Kansas in her checkered blue-and-white dress and ruby-red slippers, with Toto in her arms. There's no place like your home for this! Vinyl Mini Figure! 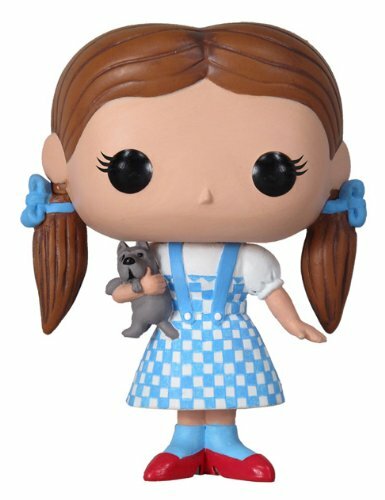 This ultra-cute 3 3/4-inch tall Dorothy Pop! Dimensions: Height: 3.75" Length: 3" Depth: 2"